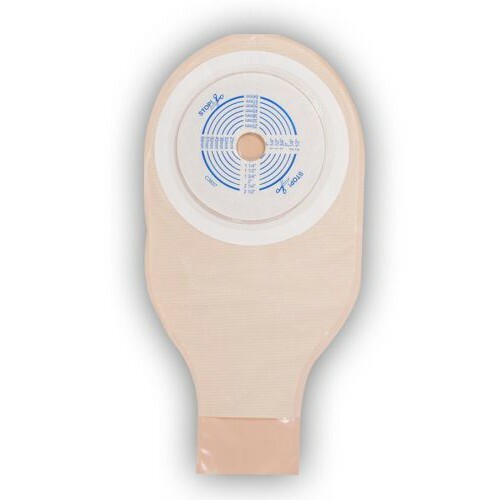 The ActiveLife One-Piece Durahesive Plus Pouch, by ConvaTec, is a drainable pouch that is a unique one-piece system of attaching to a stoma area for ileostomy patients. 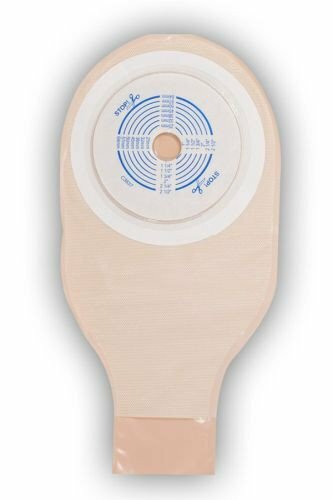 The skin barrier comes with a comfort panel, a soft fabric to rest against the side facing the body and has a skin barrier with a tape collar. 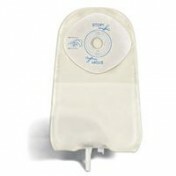 This one-piece ostomy pouch has two tail closures and comes with the brand's Durahesive barrier. 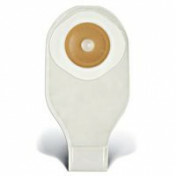 Durahesive skin barriers are designed for people whose stoma output is mostly liquid. And unlike other skin barriers that can breakdown around liquid output, the skin barrier adhesive is designed to swell up, or "Turtleneck" as ConvaTec describes it, to better protect the stoma and peristomal skin. 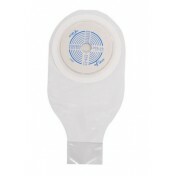 This effect helps create a more secure seal without harming the skin. In a test conducted by ConvaTec, the Durahesive barrier and a competitor's barrier adhesive were immersed in a saline solution to compare performance. They were allowed to rest in a warm, body temperature environment for 24 hours. Afterward, the adhesive seal was tested and it was found the Durahesive maintained integrity after absorbing the saline liquid, while the alternate adhesive started breaking down. 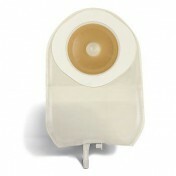 This may be a good sign of how the adhesive can keep leakage at bay for extended wear times, as this pouch is designed. 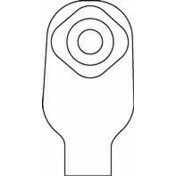 The pouch measures 12 inches long and the wafer is cut to fit for stomas 19 mm (3/4 inch) to 64 mm (2 1/2 inches). 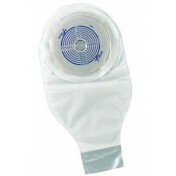 With the drain closure, it requires only tight roll without an external clasp (included) to secure it. The one-piece ostomy is drainable and will work well for those with an ileostomy stoma opening. 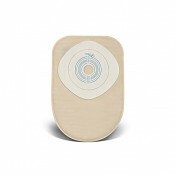 The pouch has an integrated wafer barrier that simply adheres to the skin around the stoma. The barrier is especially good for those whose output is mostly liquid. The wafer adhesive is designed to absorb moisture and maintain its integrity for extended wear. It comes with two closures per box. This is something that I always wear. I go out and go to work with it. Having that in mind, I chose the Convatec pouch because of its durability. It gives me security that nothing will leak even if I do things I normally do.Highly recommended for someone like me.